If your perception of a typical wine professional is a red-nosed, toffee-nosed, corduroy-jacketed man, think again. The wine industry, once almost exclusively a male preserve, has in the last couple of decades woken up to the fact that women are major buyers of wine, may be better at tasting than men (women have more tastebuds, a keen sense of smell and a higher proportion of supertasters) and like to drink the stuff too (and that’s not just maiden aunts quaffing sweet sherry). The United Arab Emirates is often a bit behind the times, but it catches up with gusto. I’ve been meeting more and more women in working in the wine industry and hosting wine events here recently (more of this in part two) – and took my next tiny step in the world of wine myself with my WSET exams in 2012. For a small place in the middle of the Persian Gulf, we have quite a good choice of wine available here in Dubai in the scheme of things – although tax and import duty has an effect on the prices. I’ll be very glad to see the back of the local obsession with Sauvignon Blanc and Pinot Grigio and just hope this happens in 2013. I’m looking for some more interesting wine producers, wine styles and grape varieties this year and asked four of my favourite female wine writers and experts (two based here in Dubai) what they are going to be drinking in 2013. They’ve come up with some informed, vibrant and eclectic recommendations that I’ve squirrelled away in my iphone for referral already. I think in 2013, I will be continuing my love affair with new world Chardonnay. At the fine wine end of the spectrum, there is extraordinary quality to be found in USA, Australia, NZ and South Africa. Current examples I have tucked away include Neudorf, Kumeu River, Ten Minutes by Tractor, Au Bon Climat and Chamonix. I am sure I will add to them – although I won’t be able to resist them for long either! 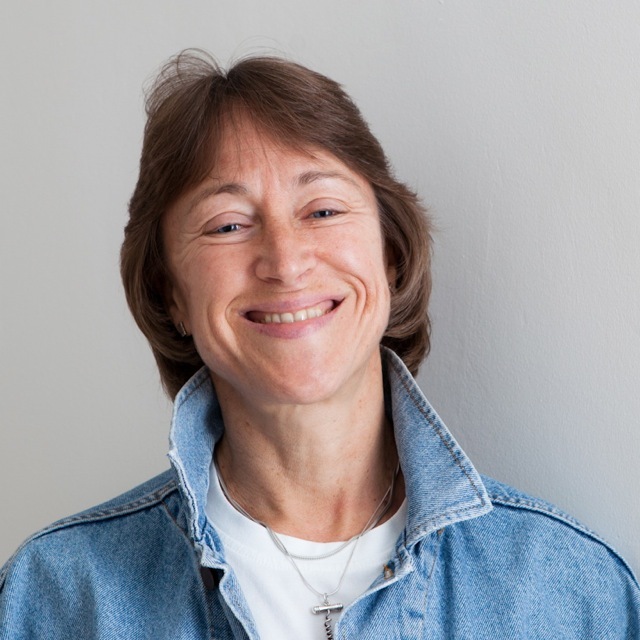 Julia Harding – is a Master of Wine, award-winning wine writer, lecturer and wine mentor. She has been a wine buyer for the highly respected Waitrose wine-buying department, before becoming Jancis Robinson’s full-time researcher, co-ordinator and associate palate in 2005. She has contributed to the most recent editions of The Oxford Companion to Wine and The World Atlas of Wine, and has just finished researching and writing, with Jancis and with Dr José Vouillamoz, Wine Grapes: a complete guide to 1,380 varieties including their origins and flavours (Allen Lane/Ecco, Oct 2012) as well as playing a major role in maintaining the award-winning www.JancisRobinson.com. What will I be drinking in 2013? Working on our recently published Wine Grapes (see www.winegrapes.org) over the last four years has constantly stimulated my thirst for wines from rare grape varieties, so I will continue to keep my eyes and ears open for those. This week, for example, in preparation for a VinCE masterclass in Budapest in March, I retasted a varietal Shavkapito produced by Pheasant’s Tears in Georgia (probably about 10 ha in existence) and Walter Massa’s Timorasso (c 20 ha) from Tortona in north-west Italy. But that doesen’t mean that I will be giving up on fine German Riesling, most often off-dry and dry. There are many producers I admire but two of my favourites (if you judge by what is my mini cellar, ex coal hole under the stairs) are Klaus Peter Keller from Rheinhessen and Dönnhof from the Nahe (I could name others but they spring to mind first). Over the last couple of years I have also bought a small amount of St-Aubin from Pierre-Yves Colin-Morey – wonderfully precise wines. Not that I only ever drink white wine, though on balance I probably drink more white than red. I hope I get a chance to drink some older red Burgundy and Bordeaux this year but also a peppering of Cabernet Franc, one of my favourite red varieties. On the whole, I like reds that are fresh and have a bit of a bite to them, like Frappato from Sicily or Vinhão from Vinho Verde country in northern Portugal or high-quality Valpolicella from the Veneto. I almost forgot to mention the northern Rhône, and Nebbiolo from Piemonte – it is just impossible to narrow it down! My recent foray into Portugal for my top 50 has also inspired me about wines, especially white, from that country.I cannot leave out sherry and madeira, both of which I relish on the right occasion. I buy as much sherry from the Equipo Navazos as I can afford and reasonably drink and Barbeito is probably one of my favourite madeira producers right now. Port is less common for me but I hope I get a chance to drink more of Dirk Niepoort‘s fabulous colheitas and tawnies.To be completely honest though, most of what I will be drinking in 2013 is currently unknown to me, and I am very happy about that. I love trying wines I have never come across before – new producers, new regions, new grape varieties – for me that is part of the endless fascination and pleasure of wine. 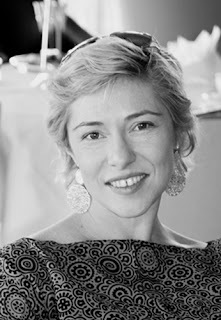 Sarah Walton – food, wine and travel blogger at The Hedonsita who, in her wine-related past, has studied wine in Australia, been a sommelier, written a wine magazine, been a wine sales rep and had a wine website with cellar management and online sales. Her frank and open approach to wine banishes mystery and wine snobbery. First, I’m going to drink a selection of 2010 white burgundies and Chablis. I’m going to stick to Rullys in the main, because I can afford them better than the Meursaults. I’ll have the odd stab at some 2010 Chablis, but these will probably be better in the long term rather than the short, and there’s no point in keeping anything for more than a few months in this climate unless you’ve got a serious wine storage facility. I’ve already had some pearlers from the Mâconnais, despite reports that they are variable because of some summer hail. Red Burgundies are also going to be great from 2010, better probably than the white, but like the Chablis, they are probably going to be better in a couple of years. Next, I am going to attack a whole stack of 2010 Mornington Peninsular Chardonnays (Australia) with gusto. Pretty good year despite a bit of humidity, and drinking beautifully right now. Of course, practically nothing from the region is available in Dubai, so I’m going to have to bring some treasures back from Australia each time I visit. Next, I’m going to throw myself towards Spain. Not for any particular vintage (although 2010 seems to be a good one to stick with again), but for the region, because I’m going to be in Cataluña later this year, and I want to be informed when I jump in the car to cellar door hopping. I’m going to veer towards Priorat reds (2009 or 2005 they say) and Rias Baixas for the whites because I adore Albariño, and maybe some Godello from Valdeorras because I hear it’s very nice. Have no idea if I can find it locally though. And then, of course, Cava. Bubbles always require further examination. Catherine Watkins – is a Certified Sommelier with The Court of Master Sommeliers in London, a member of the Guild of Sommeliers in Napa, California and gained her WSET Advanced Award (with distinction) to name a few. She co-hosts both the Dubai and Abu Dhabi Wine Club monthly wine tastings in addition to serving as the Sommelier to the International Wine & Food Society of Dubai. Sommelier services available upon request. Budget-savvy white wine for now is Gazela 2011 Vinho Verde from Portugal. Delicious, crisp and slightly petulant in the glass. Good with light salads or seafood. Budget Go-To red currently is from Catena in Argentina. With Nicolas Catena recently awarded wine maker of the year in 2012 by Wine Spectator his brand is getting it’s “due” and for good reason. The 2010 Alamos Cabernet Sauvignon is rich, fruit laden and perfect on a cool winter evening with red meats. At under 40AED ( from A+E) a bottle it’s a steal. A mid-priced red I’m still loving, that has recently gotten high praise in the wine press, is the Clos de L’Oratoire des Papes Chateauneuf-du-Pape 2010 (from MMI). A good match with lamb or charcuterie or hard salty cheeses. Looking forward to seeing the 2013 southern hemisphere harvest results and what delicious wines they produce from the non-aged category of Sauvignon Blanc and other light whites. I recommend anyone holding and aging their ’05, ’09 & ’10 Bordeaux to be patient and let them develop-10 years time is the best to begin the drinking window. By all means enjoy your ’00’s now and into the future. Many will drink well 30+ years on. The cocktail scene is lightening up as well with bartenders beginning to branch out from their recent crush on “Brown” spirits (Rye, and blended whisky) in cocktails. Look for creativity with eau de vie, liqueurs and unusual blends with fruit juices and aromatic spices. Not sure we’ll be ordering these anywhere except the top bars with the best mixologists in town but keep your eyes and taste buds open for something fresh in the spring as this trend makes it’s way around the globe. Massive thanks to my generous contributors. I’ve discovered some wonderful wines in the company of Sarah and Catherine here in Dubai and have a few bottles of some rather nice wine tucked away in the UK due to the help of Kat and the team from Lay & Wheeler. Thanks to Julia for taking time away from Jancis Robinson’s purple pages which I subscribe to and provides some of the most intelligent wine writing available. 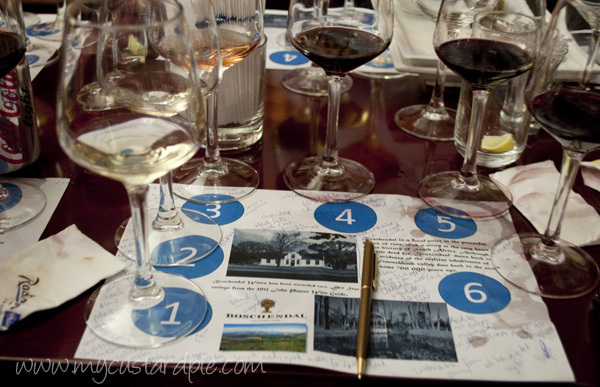 Wine Grapes should be on the wish list of anyone who wants to know about wine (it’s on mine). In 2013 I’ll be trying to stem the tide of astringent Sauvignon Blanc by serving Riesling, Grüner Veltliner (particularly Charming) and Torrentes at home. There are some particularly nice examples of the latter around, many produced sustainably or even organically. I’m also planning to take in some wine on my travels – with Georgia and Portugal both on my radar. Hoping that 2013 will be a better year for English winemakers too. Sharpham deserves another visit and I plan to sample Camel Valley wines in situ, with a short detour to some West Country cider makers. What are you planning to drink in 2013? Please share your recommendations in the comments. Wonderful women and great jobs! Cheers to these wonderful woman! Looking forward to reading part 2. Lucky you – I’d be happy to explore the right bank for ever more. Bought some VCC this year – looking forward to drinking one day. Great post, so well researched as usual. Will be interested to hear your thoughts on Camel valley, I think their sparkling wines are lovely for special occasions. First tried at my 40th in Cornwall. Yes I’ve heard good things. May have to book accomodation! Ooh, I don’t know anything about wine but I do like Picpoul de PInet, Albarino, Grüner Veltliner, some Italian whites and most of the English wines I have had the privilege of trying. I wish I knew more but your previous posts about wine have taught me quite a bit., and this one has introduced new, intriguing names to try. I have found that as I have got older my tastebuds cannot tolerate the mouth-puckering Sav Blancs of old. I used to be quite the Oyster Bay SB girl, but no longer. But I can’t imagine ever going off champagne! They say that people prefer sweeter wines as they get older – not that you are heading in that direction. You mention some favourite whites there. I mostly drink red wine although I’m reading this while drinking a glass of Pinot Grigio which I love I’m afraid! I really dislike Chardonnay, maybe as a result of overindulging during the ’80s. I also enjoy Frascati which I buy in the Co-op. As for reds, I think I’m boringly predictable with my usual choices of Merlot, Rioja and Shiraz. I find oaked wines too heavy for me, so I choose carefully. Hey there! I’m stopping by from bloggers.com & I’m a follower of your blog. I love wine & the boyfriend is taking me wine tasting around the lakes in New York in March. I hope your having a great Wednesday! Stop by to say hi if you’ve got a minute. 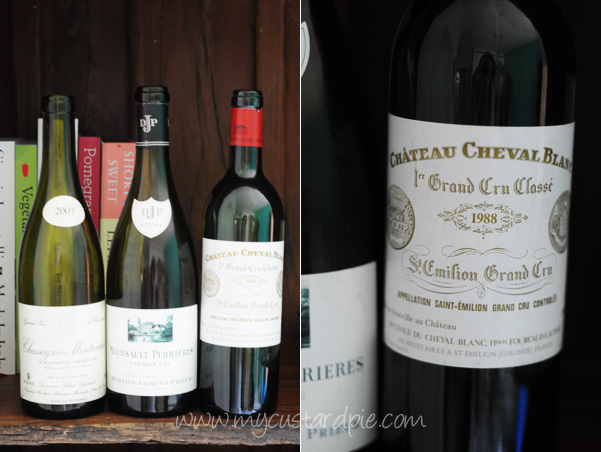 fabulous women & great wine blogs too! thanks for the list & thanks for the introduction too! I love wine a lot. I prefer a good red anyday. I love Merlot, pinot noir, a good barolo for special accasions, a good Shiraz, Carmenère, Beaujolais, Chateau Neuf du Pape,etc. I also like good white ones like Sauvignon, etc. 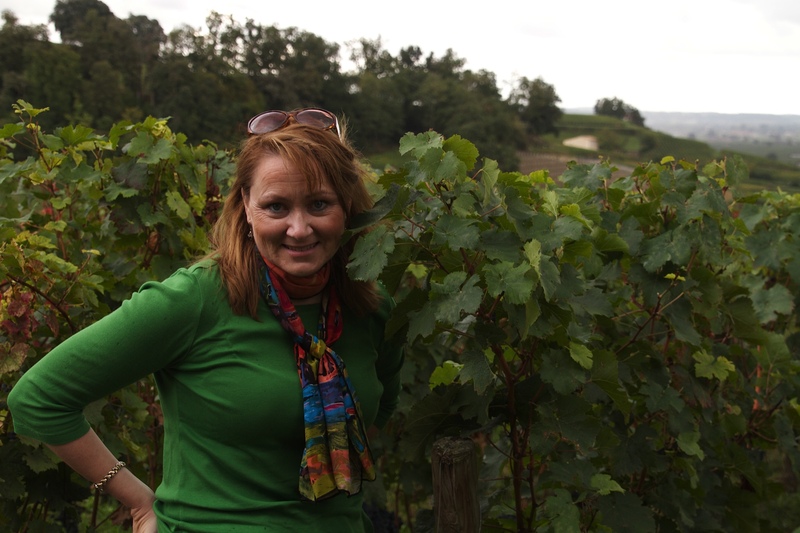 Thanks Sophie – I also love a good Barolo and Southern Rhone wines rarely disappoint. Great to see that some of the responses made mention of new world Chardonnays – it’s about time they came back in from the cold. Surely we have all had enough Sauvignon Blanc and execrable Pinot Grigio by now?? Also pleased to see Rully in there – what a wonderful appelation, and not very well known here in the UK. Personally, I plan to drink more Portuguese reds from the Alentejo and more fantastic wooded Chenin Blanc from South Africa – Jordan and Stellenrust make stellar examples. I’m going to try as much Portuguese wine as possible this summer in Europe (if I fail to visit the country itself). I really want to expand my knowledge of this interesting wine region. And I’d love to taste some better Chenin Blancs – I tried one from Boschendal (more in women and wine part two) recently. I will be drinking wine, red, and lots of it! A woman after my own heart. Let me tell you what I’m going to drink in 2013 (apart from some lovely Pinot). A few months ago my brother brought two bottles tomato wine from one of his regular trips to Canada. I, actually, couldn’t imagine anything nice made of tomato (hate ketchup) and didn’t care much to open them. I actually thought about gifting them to a friend who’s into anything weird. Then last week I went to Toronto, too and somehow came across this article on Omerto , the tomato wine. Frankly, it intrigued me and I’m going to open those bottles. Has anybody here tried this thing? My parents used to make homemade wine out of garden produce. I look back with bemusement now because to my knowledge they didn’t drink. Anyway, most variants were tried from elderberry to rhubarb but never tomato. It could be fantastic in cooking – added to a sauce or a casserole. Let me know if you take the plunge. Loved this article Sally, very interesting and takes me back to wine tasting at Stellenbosch as much for the experience and location as for the beautiful wine. I’m also thinking I should drink my one and only bottle of vintage Champagne which is sitting in a cupboard here as it seems that the heat won’t be helping it any – hey ho – what’s a girl to do but raise a glass and say cheers !